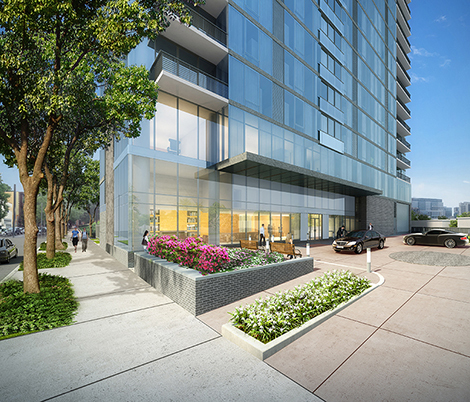 That’s why we were so thrilled to learn about Carl Dranoff’s new development One Riverside. The 82-unit glass skyscraper is comprised of 22 stories, and boasts one of the most attractive addresses on the market at 25th and Locust. (Not to mention, it’s a Dranoff-developed property, which means the building comes with its own pedigree and reputation for quality.) Within walking distance of Rittenhouse Square, the University of Pennsylvania, Drexel University, 30th Street Station and CHOP, the residences offer accessibility to a range of Philadelphia institutions, allowing for easy commutes and citywide entertainment. Perhaps most striking, though, is the commitment to maintaining and expanding green space. Not only is One Riverside situated within its own park (it’s remarkably well-integrated), but it’s also adjacent to Schuylkill River Park, along with a dog park, tennis and basketball courts and playgrounds. Residents are also within steps of the 60-mile Schuylkill River trail. Outside, residents can gather friends and neighbors to kick back on the outdoor terrace, which adjoins the lobby with a fabulous outdoor kitchen ideal for entertaining and luxe summer cookouts. Another decidedly high-end feature is the chauffeured house car, which is offered for residents throughout the day. A private motor court is also available, ensuring residents don’t have to spend time parking or idling. 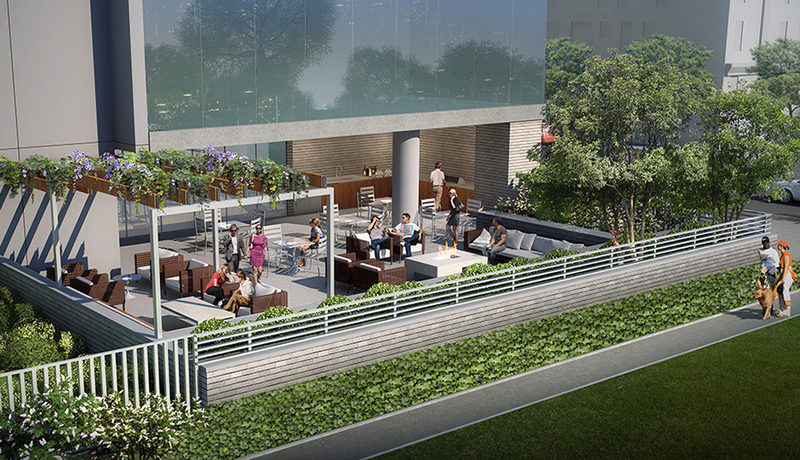 The al fresco amenities don’t exist solely on the ground floor, either. Head upstairs, and you’ll find that almost every unit (there are two to six units on each floor) is equipped with balconies or terraces that overlook the gardens and river below. Gaze parallel and you’ll catch unprecedented panoramas of all of Philadelphia. 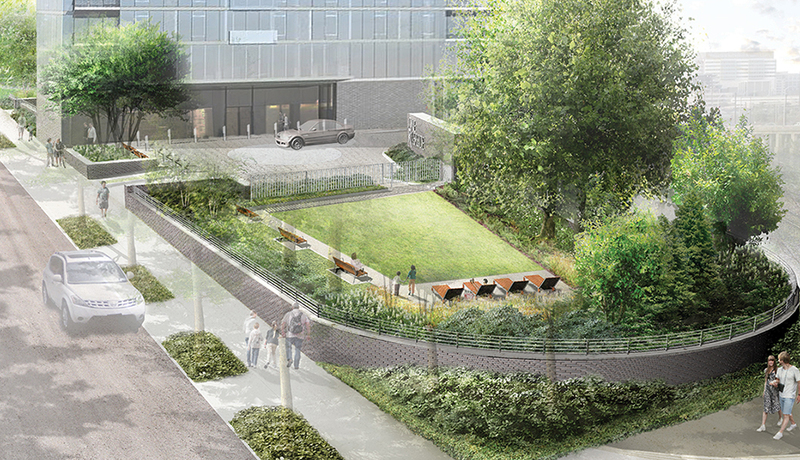 The added, private spaces ensure that residences are maximized and fully integrated into the neighborhood’s landscape. For people who are accustomed to Center City high rises, the square footage of green space is unparalleled. Suburbanites, meanwhile, will feel right at home with plots in the community garden, private spaces to enjoy the outdoors, and running trails mere steps from their front doors. The way we see it, there’s no better middle ground for people who favor an easy commute, but lead an active lifestyle. If you’re interested in taking advantage of this rare find, topping off is schedule for late May, while occupancy will begin in March 2017. Units start at $715,000. And if you’d like more information about purchasing a residence at One Riverside, or would like to schedule a meeting with the sales center, click here.